Clean up your coffee tables, there's a new book out! 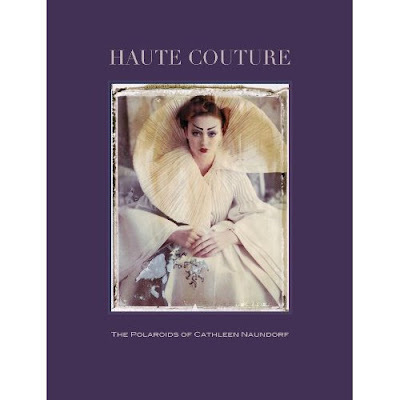 Haute Couture, The Polaroids of Cathleen Naundorf features striking couture images of renowned fashion photographer Cathleen Naundorf's work with Polaroid photography and represents a collection of six years of work with some of the world's most celebrated fashion designers. Gorgeous images of exquisite haute couture pieces by Chanel, Dior, Gaultier, Lacroix, Elie Saab, Philip Treacy and Valentino, are captured with a large-format camera and collected in this book. Her distinctive technique, inspired by her mentor Horst P. Horst, which marries instant film's characteristic colours and plays with shadow and light, yields stunning, otherworldly images. The impressive work of Cathleen Naundorf, a harmonious blend of fashion, art and photography, is an attestation to her reputation as a rising force in the fashion world. The book will be released in Europe on May 15th and in the US on June 15th, 2012.